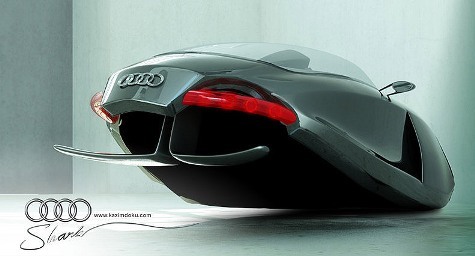 Those wacky designers associated with Audi have designed this crazy new concept like something straight out of iRobot. 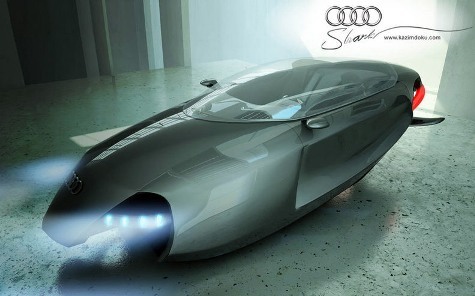 Dubbed the Shark, it is the brainchild of Turkish design protege Kazim Doku, the Audi Shark is a conceptual futuristic four-ringed hovercraft that won Audi’s most recent design competition. The styling takes elements from the R8, TT and S5, and looks thoroughly Audi right down to the LED lighting. 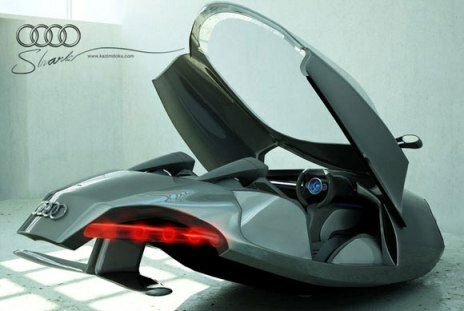 A front-hinged canopy and air foils replacing the wheels. The Audi contest awards Doku with a 70% scholarship to the prestigious Domus Academy, but he tragically had to turn it down as he couldn’t put up the remaining cash.